Accra, March 30, GNA - Counsel for Kwame Peprah, former Minister of Finance, told an Appeal Court in Accra on Tuesday that the failure of the Trial Judge at the Fast Track High Court, to consider whether the Quality Grain project was viable, constituted a miscarriage of justice. The Counsel, Nana Adjei Ampofo was continuing to defend his grounds of an appeal filed at the Court of Appeal for his client. The appeal was basically challenging the appellant's conviction and imposition of a four-year term sentence. The three-member panel of the Court of Appeal was presided over by Mr Justice F. M. Lartey with Mr Justice S.T. Farkye and Mr Justice J.C. Amonoo-Monney as members. Mr Osafo Sampong, Director of Public Prosecutions, represented the State. 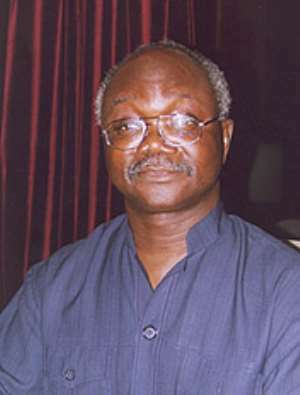 Nana Ampofo who argued; "the money can be paid and is, therefore, recoverable. "Why then do you say the money is lost?" Counsel argued further that the issue was whether if Mrs Juliet Cotton had not embezzled anything and that all the money and the project had not stopped, for any reason, in that circumstances would there be any financial loss? "It is my submission that in this situation, the Government, as a guarantor did not lose any money, though it provided the money." Nana Ampofo explained that "loss" might mean something that is lost and is not recovered. He said "wilful means the ordinary wilful", saying it also means intentional, deliberate, and arising out of evil mind. Counsel argued that the Trial Judge's equation of wilfully with reckless was a misdirection, since wilful did not mean reckless. An Accra Fast Track High Court presided over by the Late Mr Justice Dixon Kwame Afreh on Monday, April 28, 2003 sentenced three former top public officials to various terms of imprisonment for their involvement in the Quality Grain Company case. They were charged with conspiracy and causing financial loss of 20 million dollars to the State in a rice project at Aveyime in the Volta Region.